Welcome to the next entry in Redbeard’s Reading List! 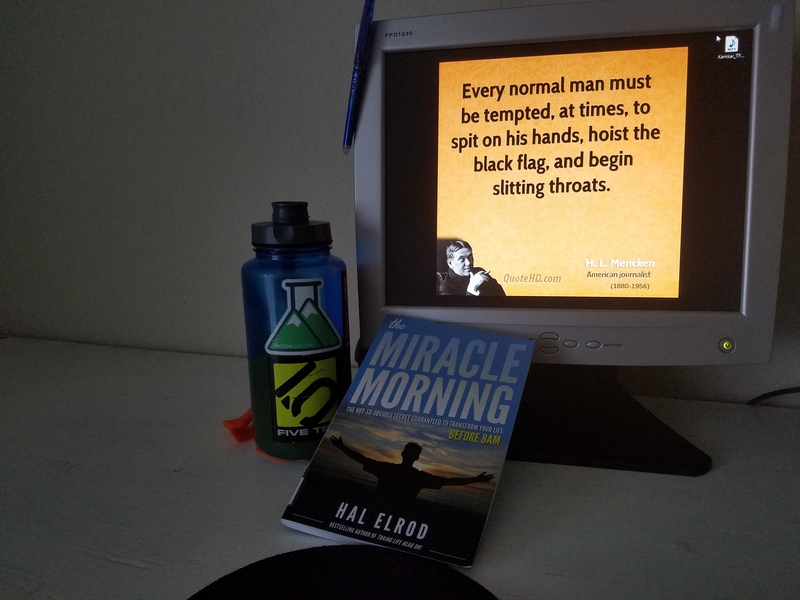 The next book I’d like to mention for this series is The Miracle Morning by Hal Elrod. I finished it last night while sitting on the edge of a huge field while my 9yo son’s track team had their field day. Spoiler- the girls totally crushed the boys in tug of war. The book was recommended by my friend Susie Miller. Susie is an expert on positive self-talk and has helped me tremendously. I’ve been experimenting with my morning routine for all of my life. Most often I find it changes due to my lifestyle or my situation, and the new changes beg the need for modification. I’m talking big changes varying from my time in the Marine Corps to now with five kids (and a 3-week-old in the house). Most of my time has been pure experimentation based on hearing of what other people do. Tony Robbins has his cold water dunk. Tim Ferriss has his 30-before-30 breakfast. Hal Elrod has his SAVERS. This is the first book I’ve read that was totally devoted to morning routine including the whys and wherefores. Not only does Hal detail his routine and the reasons for it, but he offers enough general advice on morning methods that you could easily design your own. Aside from that, the book also has quite a bit of personal development information to go along with the morning stuff. It’s a great read and one that I think would make a difference in your life. Click here to see the other books on Redbeard’s Reading List.